As the weather gets warmer the kids will want to reach for a frozen treat to cool down. Unfortunately most store-bought ice pops are full of dyes, artificial flavors, added sugars, & other questionable ingredients. 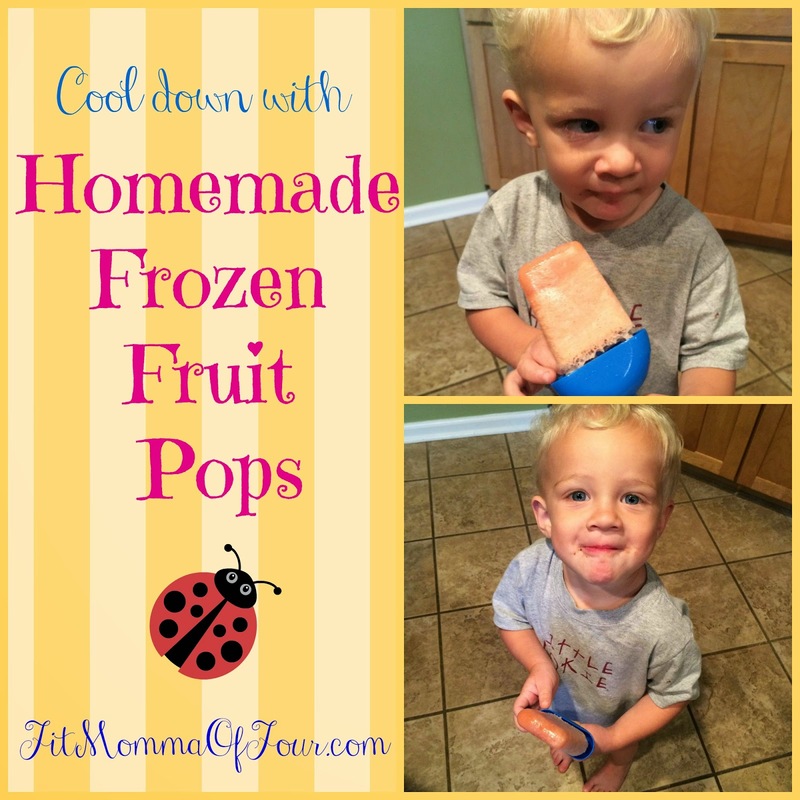 It is quick & easy to make these frozen fruit pops at home. All you need is a blender, some popsicle molds, or dixie cups & popsicle sticks! These are so yummy the grown ups will be sneaking a treat as well. You could use pretty much any combination of fruit that you like, but I will share what I put into this tasty concoction that you see my little man enjoying above. Pulse a few times in the blender until everything is combined. Divide evenly into popsicle molds (this makes about 8 frozen fruit pops). Place in freezer for at least 3 hours before enjoying. For more clean eating recipes that are kid-approved click here.